Apple would have to design and build two separate logic boards to accommodate both dual-core and quad-core processors. Other Macs use the same logic board across models, so I wouldn't expect Apple to make an exception for the Mac mini. Note that this wasn't an issue with the Sandy Bridge and Ivy Bridge processors, where both dual- and quad-core processors used the same socket. 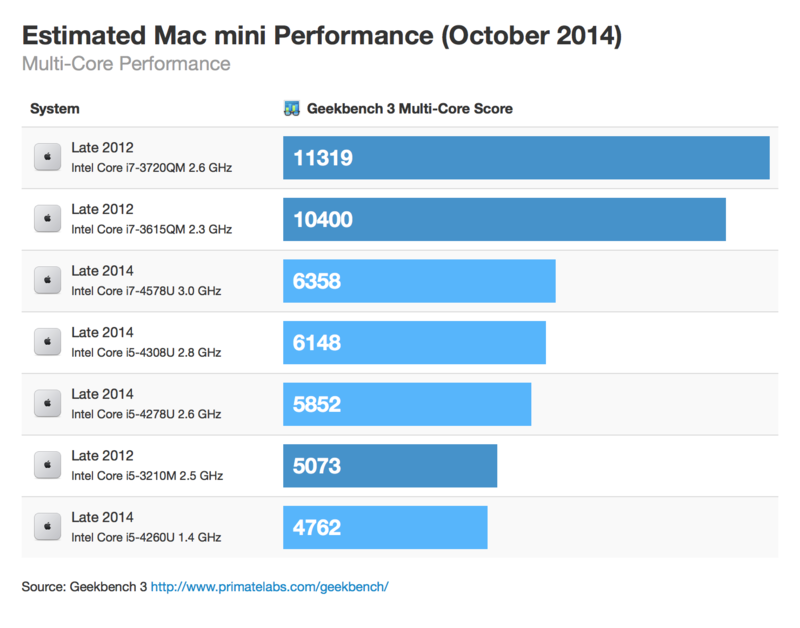 Apple could have gone quad-core across the the "Late 2014" lineup, but I suspect they wouldn't have been able to include a quad-core processor (let alone one with Iris Pro graphics) and still hit the $499 price point.